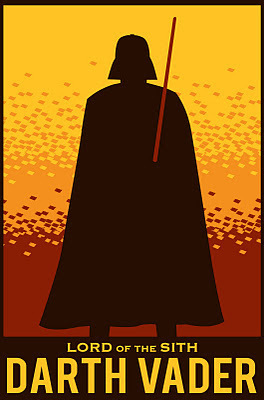 Steve Thomas [Illustration]: Darth Vader variant silk screen print. Darth Vader variant silk screen print. The Ltd. Art Gallery has a limited Star Wars screenprint available for presale. At last check, only 10 of 25 presale prints were left. The remaining 25 will be at the show that opens Thursday, Dec. 8. I am a regular visitor of your site.And you have been my favourate designer of posters.All of your designs are really very appreciable. I did have a few artist proofs, but they are all vanish. If anyone knows of any for sale, let me know. I just wanna thank you for sharing your information and your site.Amazing designer of posters I’ve learned something today. Thanks!